JC Transportation will supply you with a safe and economical method for your intermodal rail shipments throughout the United States. Door to door pickups and deliveries. 53’ X 102” dry freight containers. Shipment weight up to 42,500 lbs. per shipment. JC Transportation is contracted with all the major railroads in the U.S. which enables us to provide your organization with many options for shipping. We are able to implement a more economical method to transport your goods as opposed to over-the-road by trucks. This will result in considerable savings over freight rates by truck – as much as 50% or more. We will keep to your budget and still provide you with on time pickups and deliveries. Several extra days may be added to your transit time, but the freight bill savings will be worth your wait in most cases. JC Transportation is an EPA Smartway carrier and broker. We have committed to building a more sustainable freight supply chain. By utilizing the rails for freight shipments, fuel usage is a fraction of that used by truck shipments on the road. This will truly affect your bottom line by saving on freight expenses and also reduce your carbon footprint. Shipments are tracked constantly and we can furnish you with reports on where your freight is every 4 hours, 7 days per week, 24 hours per day at your request. 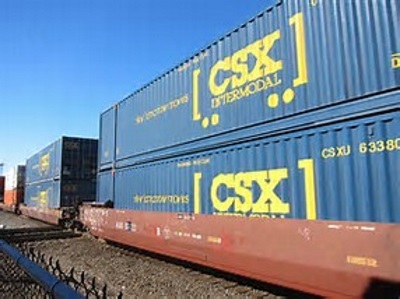 All freight shipped by intermodal rail is fully insured and in full compliance with all Federal and State rules and regulations. Please give a try on your intermodal freight shipments and start saving today!